Nutrition plays a major role in managing diabetes. To keep blood glucose and insulin levels within a goal range, people who have diabetes can use a variety of strategies such as carbohydrate counting and the diabetes exchange. If you're overweight, your physician may recommend a 1,200-calorie exchange meal plan. Losing excess weight helps your body regulate blood sugar better. Follow a 1,200-calorie plan under your doctor's supervision, because this is a very low-calorie diet. The diabetes exchange list is a method of ensuring you get the same amount of nutrients and calories each meal. The goal is to reach and maintain a healthy weight and maintain your goal blood-glucose level. Typically, a doctor or dietitian prescribes this type of diet. The exchange list groups foods together that have roughly the same amount of protein, carbohydrate, fat and calories. This allows you to swap out, or exchange, foods on the list without worrying about counting calories or carbohydrates. To use the exchange, you'll need the full exchange list to plan your meals. Your doctor or dietitian can provide you with a copy of the American Diabetes Association's "Exchange List for Meal Planning." 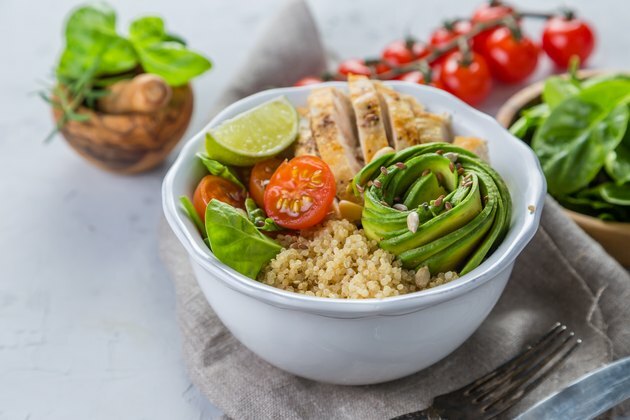 The list is broken down by section and includes a section for starches, fruit, milk, vegetables, protein, fats, other carbohydrates and condiments. To plan a meal, choose items from the exchange list for each meal, based on the guidelines your doctor sets for you. To reach a total of 1,200 calories using the exchange list, an example is to choose five starch exchanges, five meat exchanges, four fat exchanges, three non-starchy vegetable exchanges, two fruit exchanges and two milk exchanges each day. The goal is to distribute the exchanges evenly throughout the day so that you have three main meals such as breakfast, lunch and dinner, as well as two snacks. It will take some time to become familiar with the serving sizes on the exchange list, but once you do understand, it will be easier to plan meals. An example of a breakfast on this plan would be one small banana, 3/4 cup of whole grain cereal with 1 cup of fat-free milk. This equals 1 starch exchange, 1 milk exchange and 1 fruit exchange. A good snack, equaling 1 milk exchange is 6-ounces of non-fat yogurt with stevia or another sugar substitute. For lunch, you might have a chicken sandwich. Two slices of whole-wheat bread count as two starch exchanges and a 2-ounce portion of chicken breasts counts as two meat exchanges. You can add vegetables with your vegetable exchanges. An example of a dinner on this plan is a 2-ounce portion of salmon, which counts as two meat exchanges, 1/2 cup of cooked asparagus, which is 1 veggie exchange and 1/2 cup of sweet potato for 1 starch exchange. How Many Carbs Should a Diabetic Eat in a Day?